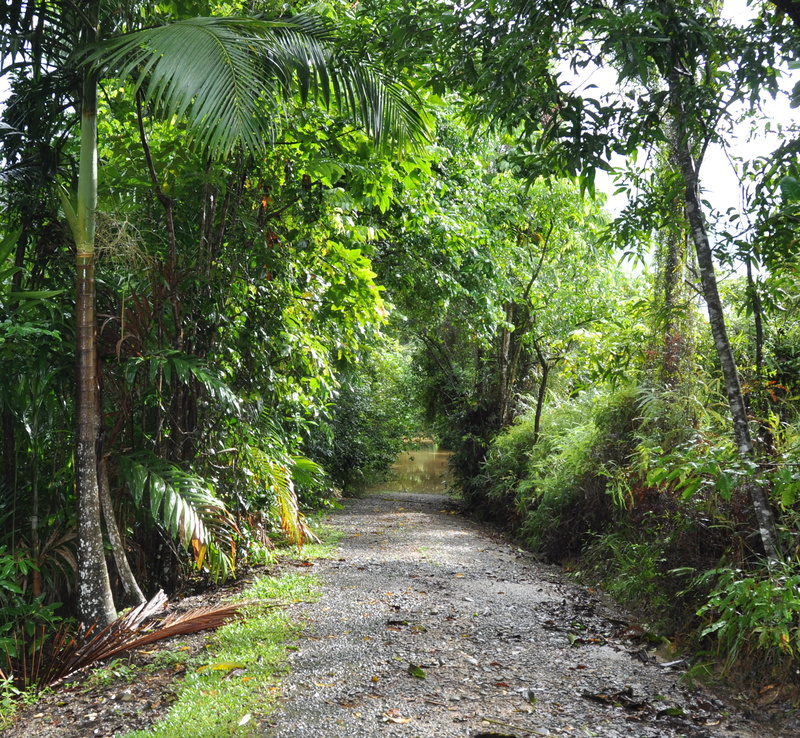 The green tunnel of our driveway has a puddle in the dip before it ascends to the main road. A lot of water is directed under our drive through a couple of concrete pipes but sometimes when heavy rain coincides with a high tide the water just hasn’t anywhere to go but up. 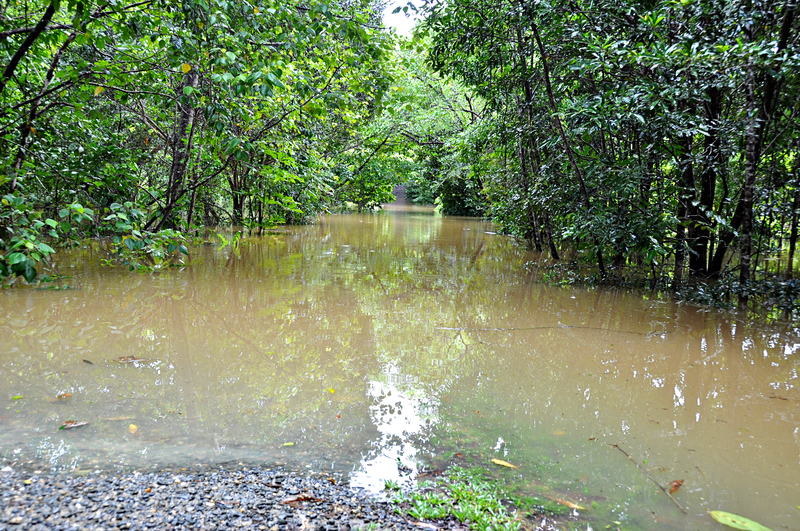 The Daintree River is flooding and Barratt Creek bridge is under water so no weekend papers at the Village store this morning! As the sun is out this morning and showers becoming more scattered this will probably be a short-lived situation. Not that I mind – there is a certain element of excitement watching the water rise and the visual landscape change. We don’t have any concerns regarding infrastructure as it is a regular seasonal event – just sometimes the inundation is more extreme than others. A pair of Bush Stone-curlew (Burhinus grallarius) have taken to hanging around in our garden which under the present circumstances is probably a good thing. I didn’t try to get any closer as they were a little nervous and there weren’t many options available for them other than taking flight. 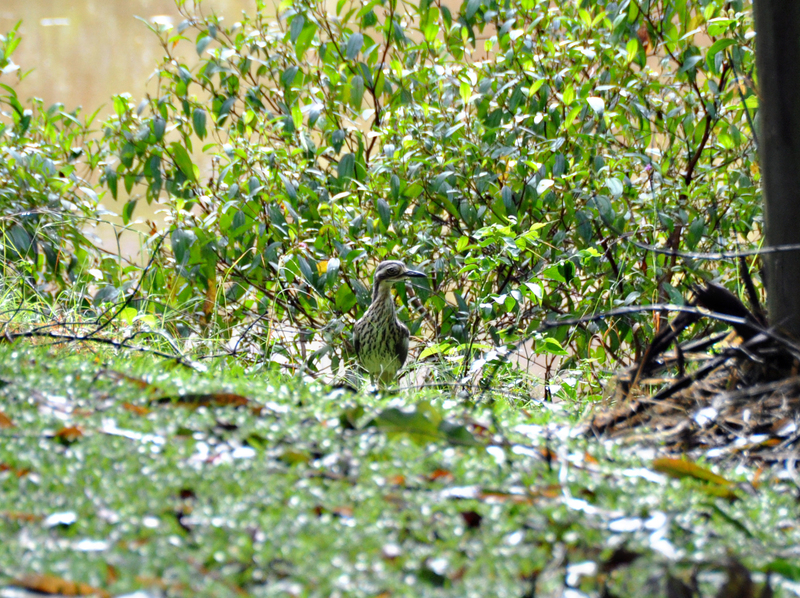 This entry was posted in Bird Observations and tagged Bush Stone-curlew, Daintree Flood. Bookmark the permalink. You are nice an calm about the flood on the main drive in to your place. Good to hear you and Allen came though Yasi OK.
Hi Denis – we’re always prepared for floods at this time of the year, but they are not dangerous as it is really just a back-up from the Daintree River. They do leave a lot of muddy residue behind which is not a pretty sight – it would be ghastly to have to clean it out of a house.